And better than ever! The MIST NY organizer team is psyched to present you with an event where students will go through a "101" course on MIST, what's new and coming this year. 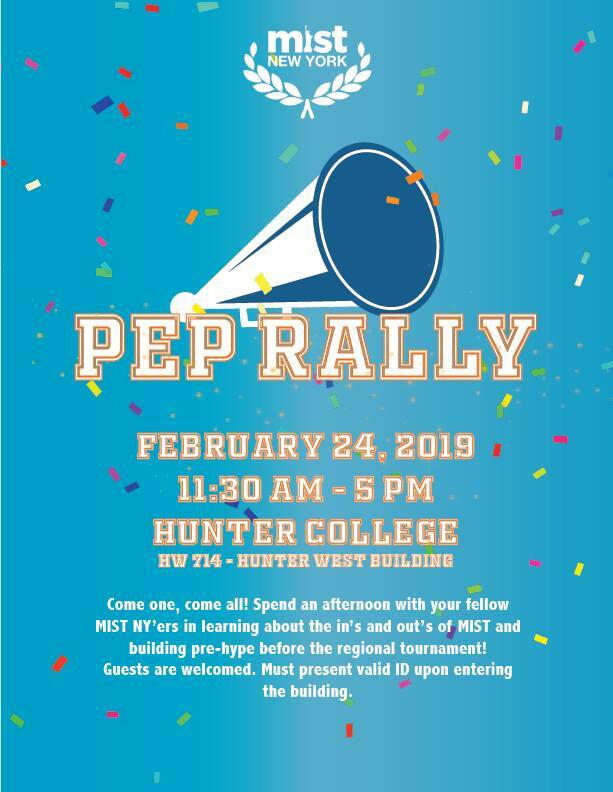 Students will also network and bond with fellow competitors (we'll be seeing a lot of new faces this year, inshaAllah) and participate in hype building activities! You do not need to be officially registered as a competitor to attend this event. You must present a valid ID (high school ID is acceptable) upon entering the building at the front desk. Copyright Â© 2001-2019 MIST. All rights reserved. All contents of MIST and this website, including but not limited to rules, competition materials, and themes, are the sole property of MIST and may not be used for any purpose other than preparing for MIST.